Video marketing is taking the marketplace and online audience by storm. A visual storyteller who understands marketing can help companies increase their traffic, boost engagement, and raise brand awareness. Great videos evoke emotions and tell stories in enticing ways. And when applied to marketing, they have the power to separate a brand from its competition. Shooting videos might seem easy, but it requires hard work and outstanding skills. Yes, anyone can hit the record button, but only the talented ones like Dennis Abad can produce compelling videos. Also known as Shoden San, Dennis is the co-founder of Shoot! Practical Videography School, the first practical videography school in the Philippines. He’s also an online video marketer, a funnel strategist, and a professional photographer. His creativity, unique storytelling, and attention to details make his works stand out. Check out our interview with the incredibly witty visual storyteller, “Master” Shoden San. Q: Can you tell us more about what you do as a freelancer? I’m both an offline and online freelancer. Offline, I’m a co-founder of a film/videography school and a digital video content creator specializing in corporate films and documentaries. Online, I’m an email marketer and a funnel architect specializing in video marketing strategy. Now both paths may seem far removed, but there’s actually a method to this madness. In the course of co-founding and operating the video school, I’ve had to take on many roles. The nice-sounding ones were CTO, CFO, and CMO. The less rosy ones were janitor, driver, and an assistant. All them were necessary. To promote our brand and increase enrollments, I embraced digital marketing. I’m gaining traction as an online video marketer and funnel strategist. I have several other clients outside of the school. We recently had our first child, and it has necessitated me to work from home. I’m really lucky that online freelancing has opened up these amazing avenues for income and fulfillment. Q: What made you decide to go into freelancing, and was it something you wanted to do? I would say that I fell into it, but in retrospect, there was an over-shadowing that happened many years back. It took two ‘seismic career shifts’ for me to finally become the freelancer that I am today. Not many people know this story outside of my immediate family, but this has grown easier with the telling. As I was about to enter university, our family fell on hard times. A series of unfortunate events happened to my father on the eve of his 25th year of service at a major bank. This ultimately robbed him of the rewards he had so piously worked for. Despite him being high on the corporate ladder, I realized then that job security was just a myth. I subconsciously carried this feeling of unease as I entered the workforce in different capacities in the BPO, Oil and Gas, Hospitality and Solar Industries. While I enjoyed my corporate time developing the soft and hard skills crucial to being a freelancer, I subsequently discovered my penchant for visual storytelling through the travel opportunities that were perks of my job. This led me to become a weekend warrior. I slowly sharpened my videography skills from 2008 with sporadic events and workshops, until they built enough momentum for me to afford to take the leap into video entrepreneurship in 2012. It took four long years worth of weekends to do it, but it also made me realize that doing it all offline would be career suicide. I had to learn to market myself online as well. That subsequently started my journey as an online marketer. Q: What do you love most about freelancing? This will be as cliche as it sounds, but it will be as consistent as the answers of other freelancers. It’s the freedom of location and time, the freedom to choose who you work with, and the ability to scale and stop trading dollars for hours. The freedom to see your child grow up in front of you, and see the things they experience the first time. Q: What is the biggest challenge you faced as a freelancer? How did you overcome it? Being a freelancer has its perks, but time management isn’t one of them. I recounted above when I was officially released into the wild as an “untethered” videographer. I embarked on a journey that was in equal turns fun-filled and depressing, enlightening and mind-numbing, exciting and boring, and feast and famine. It was a journey into freelancing and self-employment. One of the biggest misconceptions about freelancing is that once you put up your website, Facebook page, online freelancer profile ( LinkedIn, Upwork, or your niche’s database ), work magically comes to you. The hard truth is you have to fight tooth and nail for it and fight like a crazy person. Freelance work is actual work. And I mean it in a physical and visceral sense. Unlike the nine to five (or graveyard shift if that applies to you), there is nothing stable about freelancing until we have made it that way. Aside from the proper mindset and given that you already have real competency and skills, my biggest barrier to being a successful freelancer is procrastination. After my corporate life, all the time constraints and limitations were suddenly lifted. I was faced with a seemingly unlimited amount of free time. Time to do literally whatever I wanted. I could sleep in all day. Or read all the posts on Facebook. Or watch all the interesting videos on Vimeo and Youtube. And earn nothing. Zero. Zilch. Nada. Q: What do you think is your best trait that contributed largely to your success? It’s not so much as any specific trait, but a series of small changes that slowly altered my habits. Here are some of the things I’ve learned to be useful. Admit the problem. This goes a long way when we’re being honest with ourselves. Knowing that I’m easily distracted and that I tend to procrastinate has taught me about my limitations and what I can actually do to work within them or around them. Don’t Multi-task. It takes me a long time to get my brain fully into a task (ex. video editing, writing an email, planning content) and trying to do other things at the same time isn’t effective. You only end up feeling busy, but not productive. It’s the time lost due to having too many projects running at once that makes our day unproductive. I didn’t realize this was part of an actual study on context switching. The brain is a muscle, and as a human organ it eats up the most energy pound per pound. Why is this important? This means that we have a finite amount of brainpower per day, and it teaches us not to waste it by doing lesser-impact things. Simplify your day by putting this technique to work. Too many items on a checklist don’t feel natural, and if we don’t complete it, we feel like failures. Ask yourself instead; what is the most important task today — or MITT. If there was only one thing you could accomplish today that would make your day a success, what would that thing be? Block chunks of time to do the MITT, preferably in 25-minute intervals. I break it down further into smaller manageable pieces and do the easiest ones first. I first read about it in the ‘4-Hour Work Week’ by Tim Ferriss. No distractions, SMS, wifi, Facebook, browsers tabs etc. I use the Pomodoro technique with the Tomighty app. You’ll be surprised where this can take you. I know I was. I’ve since moved up from a freelancer into a business owner and entrepreneur, but it’s definitely worth every second of the ride. Every freelancer is a small business waiting in the wings. Q: What do you think is the biggest challenge in the freelancing industry in the Philippines? Poor internet service, general lack of support and awareness from freelancing communities (this is wonderfully changing now but continues to be a challenge), and a scarcity mindset. Q: What book greatly influenced your freelancing career? Q: What do you think makes Filipinos great as freelancers? Resourcefulness, adaptability, resilience, creativity, and helpfulness. Despite not being rich ourselves, I’ve observed countless times that Filipinos want to help others. It’s this genuine concern that pulls the other four traits up to a higher level and makes us stand out as service providers. Q: What piece of advice can you give to aspiring freelancers, especially to those who are struggling to get a gig? I’ve been following some of the other freelancers featured here and they’ve all had excellent answers in helping freelancers find a gig. This is on top of the research, due diligence, practice and guest postings and doing case studies with potential clients. This is on top of being able to leverage yourself in the best-suited platforms for your audience, to being found and standing out. I’d like to add on to this with a simple thing. Come from a place of help. This changes everything you will do henceforth. It will spur you on to master your skills to make sure that you don’t deliver a subpar service to your clients. It will get you to try your level best in getting the work done. Think about yourself as a standalone business, and think about how you are really able to help your customer’s bottom line in the way you do best. Be great at a few specific things and make your time count. 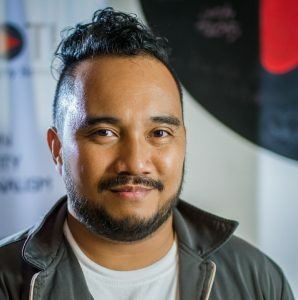 You can connect with Shoden through LinkedIn or send him an email at dennis.abad@gmail.com. To know more about the services he offers, you can visit his website or Shoot!’s web page.